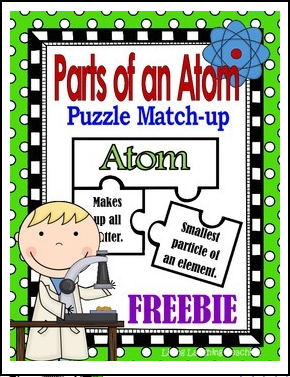 Here is a useful activity to review the parts of an atom. This activity is meant to be utilized as a center or group activity. Students are to place the puzzle pieces together according to the description of each part of the atom: atom, proton, neutron, electron and nucleus. * Center activity with directions. * Recording sheet for interactive science journal. Please leave feedback if you like this FREEBIE! Thanks.